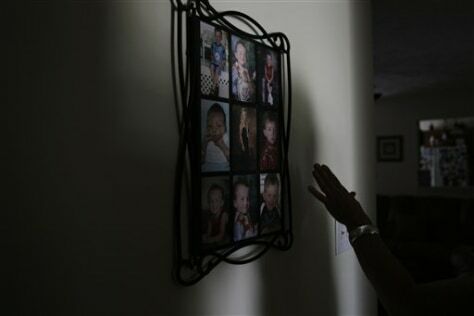 Joann Yost reaches for a display of photos of her son A.J. in Raeford, N.C., on May 14. Yost's husband Tony was killed in Iraq five years ago.